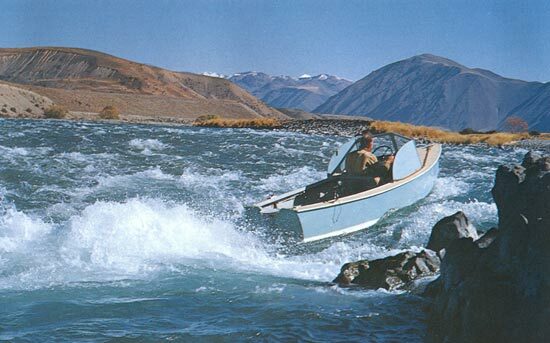 Development of the Jet boat at Lake Tekapo with Tekapo Tourism. 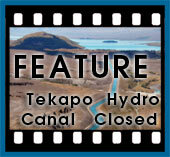 A short distance from Lake Tekapo is sheep station, Irishman Creek Station. 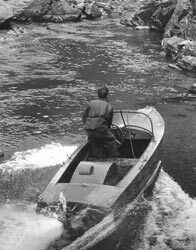 In the early 1950's this sheep station played a major role in the way boats propelled themselves through water, for the modern jet boat was developed at Irishman Creek Station. Growing up in the Mackenzie Country presents any young child with countless opportunities. For young William Hamilton, growing up Ashwick Station near Fairlie was the special environment that developed a young boy into a man with dreams. Life in rural New Zealand was very different to today. Burning hot, dry summers and freezing cold winters only added to the station's isolation. William attended school at Waihi and later at Christchurch's Christ College. He left school early to return to Ashwick to manage the property after the manager was killed in action. 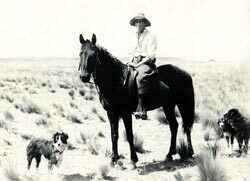 In 1921 Bill bought Irishman Creek Station and from there the legend began. 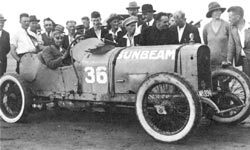 During a trip to England with his parents his passion for motor racing began with the purchase of an Isle of Man Sunbeam motorcar, a car he was to later use to break the Australasian speed record of 100mph. It was also during this trip to England that Bill met his wife Peggy Wills, they married and returned to New Zealand. 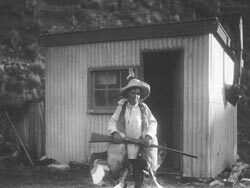 In 1924 the first workshop was built at Irishman Creek and the engineering side of Irishman Creek Station began. 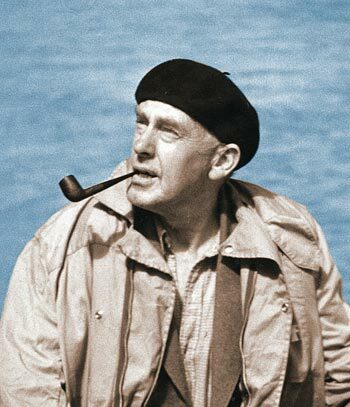 It wasn't long before he led the Mackenzie into the hydro electric era with the station having their own water turbine to produce electricity for the house and workshops. Billy Hamilton took his company from strength to strength and after a relocation to Christchurch became a major employer in the city. 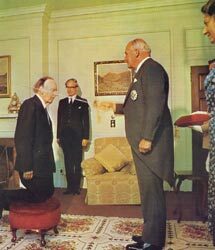 Bill Hamilton's contribution to New Zealand's industry was recognised when he became Sir William, knighted by the nation's Governor General. The company still remains with the Hamilton family with Bill's grandson currently at the helm. 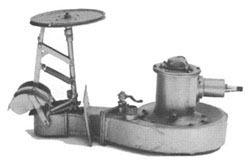 The first jet unit the team developed operated in a centrifugal style jet unit with a turbine that rotated on a horizontal plane, the turbine drew water from under the vessel's stern through it's centre, then rotated and expelled the water from the outer casing the turbines housing, through the vessel's stern, into the water. The unit did move the boat through the water, but the performance was disappointing. It was while filling a farm water trough with a hose that one of the shepherds, come engineers, realised that the hose provided a greater thrust when held out of the water, than it did when the end was submerged. 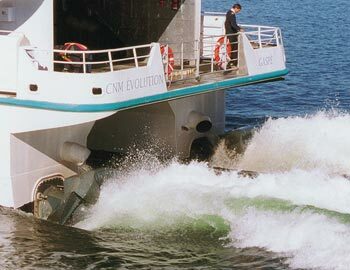 It was this everyday discovery that redefine the water jet. The jet unit was raised to expel the water above the water line with dramatic results. From that point the jet unit went through several major developments, such as the abandoning of the centrifugal turbine method to an axial flow unit containing impellors (internal propellers), the same design that is still in use today. 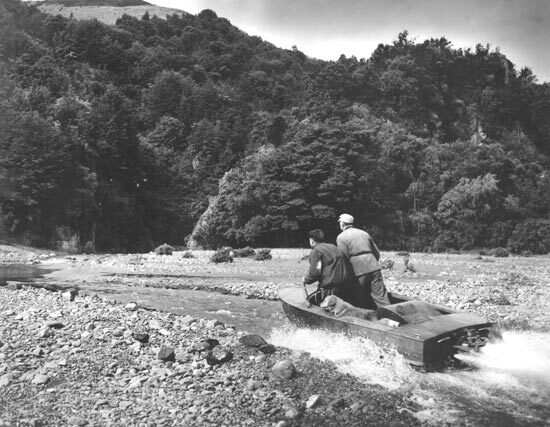 Such was the success of Hamilton's Jet Boats that the operation was moved to a site in Christchurch and the company expanded its engineering operation beyond just boats. Several of the shepherds and farm hands from the Irishman Creek operation relocated with the business and swapped their dogs and mustering sticks for suits and management roles in the new operation. C.W.F. Hamilton can still be found on that same site with their Hamilton Jet division having developed into an international company with offices throughout the world. The water jet of the early 1950's has come a long way in just 50 years. The jets have become more efficient and the boats that use them a lot larger. The Hamilton attitude to engineering development is still present in the company today. 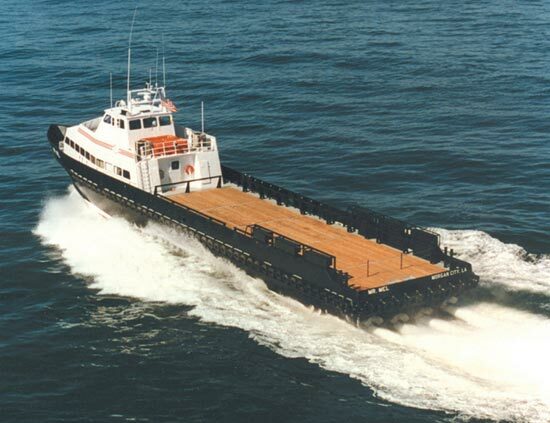 Hamilton Jet has recently developed a complex steering system capable of controlling large vessels and holding them in a fixed position, turning them without forward motion and other amazing feats.